Gary Palmer is the Owner and Principal Broker of Town and resides in the city of Charlottesville Virginia. He graduated from James Madison University with a degree in Political Science and Philosophy. 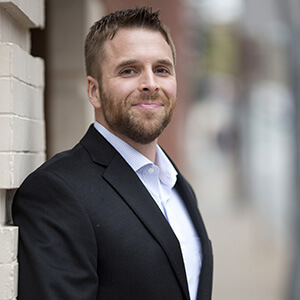 His background as Co-Founder of Integrity Home Contracting and as a local real estate investor provides him with a unique perspective with the buying and selling process. As a consultant, he spent years advising clients on complex remodeling and renovation projects. He has personally acquired residential homes, townhouses, condominiums, land and commercial real estate throughout Albemarle County. The favorite part about his profession is helping clients in tough situations figure out solutions. Gary takes pride in offering real and competent advice to his clients while providing excellent service. He is eager to share his background and experience with the people of central Virginia. Gary is committed to making Town the premier real estate brokerage firm in central Virginia. Debbie lives on a small farm with her husband and 3 rescue dogs in northern Halifax County. In her spare time she is a member of the Halifax Dog Squad and helps re-home and foster abused dogs. She also enjoys refinishing furniture and decorating the home as hobbies. 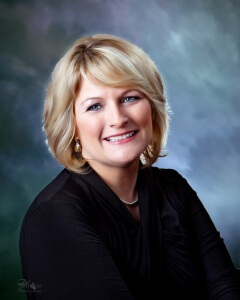 Debbie Palmer has over 20 years of real estate experience and is the Principal Broker of Town. She is also the co-owner of Palmer Properties of Virginia a top producing real estate brokerage firm in southern Virginia. Her firm specializes in residential, commercial, land, farms, and property management throughout Halifax, Mecklenburg, Charlotte and Pittsylvania counties. Palmer Properties of Virginia has been awarded the area’s “Best of Best” designation six times. Ashley is a passionate and market savvy real estate agent. She puts her client's best interests and satisfaction first. She is originally from Buffalo New York and currently resides in the heart of Charlottesville. She studied Biology and Chemistry at Virginia Commonwealth University and graduated with a Bachelor of Science degree in 2015. After college she worked as a Clinical Applications Analyst at the University of Virginia utilizing a combination of programming and analytical skills to formulate/define system scope and objectives to design and maintain complex application systems. Because of her computer oriented background; her advantage over other agents is that she always stays on the cutting edge with the latest real estate technology. She has also been awarded the Accredited Buyers Representation (ABRâ) designation by the Real Estate Buyer’s Agent Counsel (REBAC) of the NATIONAL ASSOCIATION OF REALTORSâ (NAR). She is an enthusiastic member of the community and in her spare time you can find her volunteering with the Jefferson Area CHiP, The Charlottesville Free Clinic, and the American Heart Association. Ashley feels that it’s important to give back to the community you live in. 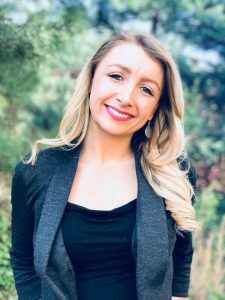 She is excited to be a full time Buyers Agent with Town, LLC and is eager to face the challenges in a fast-paced real estate market. Schedule a showing with her today! 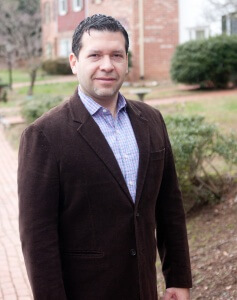 Johan resides in the city of Charlottesville with his wife and two children. He enjoys spending time with his family and believes family always comes first. Johan enjoys sports and has a special passion for baseball and soccer. In his spare time he plays the guitar and the cuatro which is an original four string instrument from Venezulea. He received an accounting degree in Venezuela in 2002 but due to economic problems he relocated to the US in 2003. Once in Charlottesville he managed a restaurant for a few years and soon after became the production manager at Candle Factory. In 2010 he launched GBS Financial Services a firm providing bookkeeping and payroll services for local businesses in central Virginia. His accounting background and business experience gives him a unique perspective to buying and selling a home. As a town Realtor he is eager to share his experience with the clients he serves. Lisa grew up on a small farm in New Jersey, surrounded by horse country. She fell in love with real estate as she watched all of the new construction go up around her family’s farmhouse. 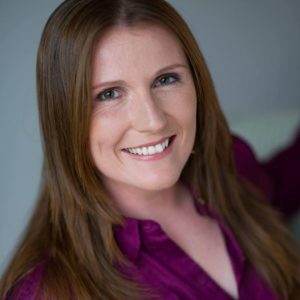 Shortly after high school, Lisa moved to Virginia where she received her Bachelor’s Degree in Business Administration and Marketing as well as her Master’s Degree from Mary Baldwin College. After college, Lisa relocated to the Charlottesville area, which she has called home for the past 13 years. In 2014 she founded Local Nanny Network, which provides premier on-site childcare for special events and weddings in the Charlottesville area. She was accepted into University of Virginia’s Darden i.Lab in 2016, which helped her continue to grow and build her business. Lisa resides on Pantops with her husband Aaron Watson. Aside from being an entrepreneur, Lisa has a passion for hiking, photography, playing the piano, running races, her little Chihuahuas Lexi and Reese and loves to travel with her husband whenever they have a chance! This was our first time building a new home from the ground up, and Gary was there helping us every step of the way. We can't say enough about how great he was to work with! By far the best experience we've ever had working with a real estate agent. As with any build, it had many ups and downs, and Gary spent countless hours ensuring that we not only understood the building process, but also to effectively negotiate and mitigate issues and concerns on our behalf with the builder. We closed on our home a few weeks ago, and Gary has already followed up multiple times to make sure everything was ok and to see if he could answer any questions for us. We could not recommend Gary enough to anyone that's looking to purchase or build a home in the Charlottesville, VA area. Working with Gary was the single best real estate experience my wife and I have ever had! Due to the nature of our work, we re-locate frequently and have worked with many different agents throughout the years. Gary is by far the best! Gary took the time to understand what we were looking for in a home, what worked within our budget, and provided us detailed analysis about our prospects to rent or sell the property in a few years. After he did all of this and found us the right home, he engaged in expert negotiations to secure the right home for the right price. Working with Gary alleviates that majority of stress associated with buying a home. He’s truly the best! We have had a great experience with Gary from Towne LLC both buying and selling a home. He was very good at managing all the details that are involved in buying or selling a home. He made sure all were attended to so the closings went off without a hitch. He was great at market analysis so we priced our home correctly. He did great marketing prior to our first open house and we got more than one offer the first week it was on the market. You just can’t ask for more than that!! Gary just got my wife and I in to a fantastic home / farmstead West of Charlottesville. We had some really difficult criteria to meet when searching for a home, and Gary was patient, knowledgable and - most importantly - extremely competent. When we'd look at open houses he'd give us advice on structural issues, likely re-sell problems, potential costs of renovating this or that, etc. He's not "just" a real estate agent, he's like a junior home inspector x property developer x real estate agent. He's the best!